What a treat it is to eavesdrop on a conversation between two exceptionally talented people such as David Brooks and Gail Collins. Here is an excerpt from their conversation as it appeared in The New York Times. To read the complete account, check out other articles, and obtain subscription information, please click here. David: A few years ago, the Obama administration decided to favor the positive over the negative. U.S. policy would pivot from places where bad news dominates (the Middle East) to places where good news dominates (Asia). To tell you the truth, I never understood the pivot. We have some diplomats who focus on the Middle East and some people who focus on Asia. Why can’t we pay attention to both regions at once? A country is not like a person; it doesn’t have to pivot, pirouette or fox trot. It can do a lot simultaneously. David: Regardless, the administration has completely failed to pull off the pivot. Obama keeps getting pulled into the Middle East. This is the paradox of power. The most powerful person on earth doesn’t get to choose what he’ll think about each day. Gail: I know I’ve told you this before, but I’m convinced it’s the story of the modern presidency. Whoever sits in the Oval Office spends every morning going over reports about people who are planning to kill American civilians. And no matter what they say when they come into office, the terror of another 9-11 is going to wind up obsessing them and turn them into interventionists abroad. I don’t necessarily believe it’s the right assessment, but I suspect the transformation is inevitable. David: I guess I’d say when planning a career you should focus on your strengths, but when running a government, your job is to focus on places where things are going wrong. Political leaders have limited power to make the world noble. They have some power to prevent the world from becoming miserable. Their job is not to make things great. It is to prevent things from being terrible — so that people in the private world will have the context they need to make things great. It’s like being a cop. You just have to congregate in bad situations. In politics the highs are not as high as the lows are low. The downside risk is always bigger than the upside risk. Gail: Yeah, that’s true. You have to focus on the problem spots. But that still leaves the question of what you do. Stay out of it, strengthen homeland security, and try to encourage international sanctions against the bad guys? Or actually intervene militarily? David: How do you think Obama is doing at preventing the Middle East from being completely miserable? I was surprised by how gigantic the U.S. bombing campaign against ISIS seems to be. Do you think it will work? Gail: Work? As in reduce violence in the region and end the threat of terrorist attacks at home? No, sadly, I don’t think it’ll work. David: I guess my view is that Obama will have to ramp up the operation quite a lot over the next couple of years. Not a big invasion, obviously, but something much more aggressively designed to dislodge ISIS from the cities. I suspect he’ll do this, and the beneficiary will be his successor, not him. I think this a lot about Obama. I think the economy is finally going to take off as corporations unleash their cash over the next few years. I think the Middle East will evolve away from its jihadist phase to something more orderly if not exactly democratic. The next president will have it easy compared to B.H.O. Oh well, them’s the breaks. Gail: I agree that we won’t remember this president for foreign policy. They gave the Nobel Peace Prize to the wrong guy. It’ll be the next administration, or the one after, who puts an end to the era George W. Bush started in Iraq. But the history books will celebrate Barack Obama as the president who grabbed the economy by the collar and saved the country from another Great Depression. He will also be remembered as the president who finally, after 100 years of struggle, created a national health care system. Which is huge, just huge. And which gives me a chance to end on an optimistic note — to raise my half-full glass. Here is a direct link to the complete account. 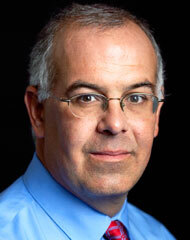 David Brooks became a New York Times Op-Ed columnist in September 2003. He has been a senior editor at The Weekly Standard, a contributing editor at Newsweek and the Atlantic Monthly, and he is currently a commentator on “The Newshour with Jim Lehrer.” He is the author of Bobos In Paradise: The New Upper Class and How They Got There, On Paradise Drive: How We Live Now (And Always Have) in the Future Tense, both published by Simon & Schuster. His most recent book is The Social Animal: The Hidden Sources of Love, Character, and Achievement, published by Random House in March 2011. To learn more about David and his work, please click here. 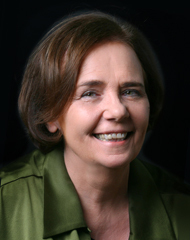 Gail Collins joined The New York Times in 1995 as a member of the editorial board and later as an Op-Ed columnist. In 2001 she became the first woman ever appointed editor of the Times’s editorial page. At the beginning of 2007, she stepped down and began a leave in order to finish her book: When Everything Changed: The Amazing Journey of American Women from 1960 to the Present. She returned to The Times as a columnist in July 2007. To learn more about Gail and her work, please click here.